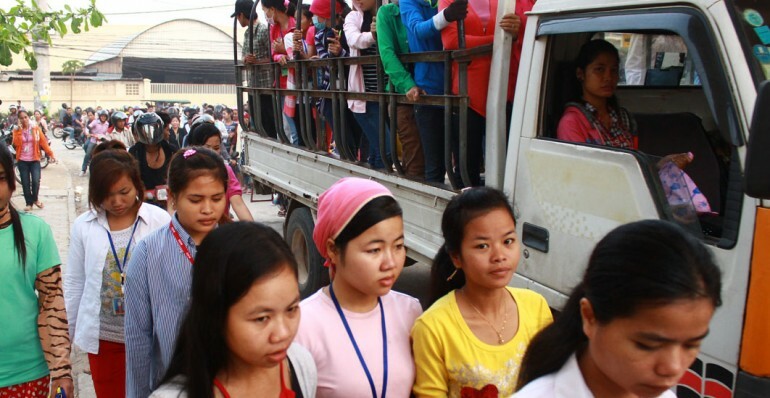 The industrial struggles being played out in garment-producing countries such as Bangladesh and Cambodia today mirrors in many ways the situation faced by UK workers 100 years ago. Fast growing trade unions, based on a mass response to poor pay and conditions. In the midst of the TUC’s Fair Pay Fortnight, where a spotlight is shone on the state of pay for UK workers, Labour Behind the Label has launched a new study today into pay in global fashion chains supplying the UK high street. It shows that fashion companies need to up their game. Our Tailored Wages study found that although over half of the 40 companies surveyed had some policy wording promising that wages for workers in factories making our clothes should be enough to cover workers’ basic needs, only four companies – Inditex (owners of Zara), Marks & Spencer, Switcher and Tchibo – were able to show any clear steps towards paying a living wage, and ensuring workers making their clothes are able to live with dignity. This poor response in itself isn’t anything new. Labour Behind the Label has been monitoring company responses to the right to a living wage for over a decade. What is new, however, is that there has been a gradual positive shift in company rhetoric about the topic. Perhaps it is to do with the advent of the UN guidelines on Business and Human rights which state that companies must ‘know and show’ respect for rights, or perhaps it is the result of persistent campaigning efforts. Either way, there is a new trend that has come out of this year’s study – benchmarks. Over the years, global buyers have continuously argued that, since there is no commonly agreed definition of a living wage for Asian countries, it is impossible for the industry to make concrete steps towards its payment. So the global race to the bottom has continued and wages have spiralled downwards as Asian countries compete to offer ever-lower minimum wages and attract global business. 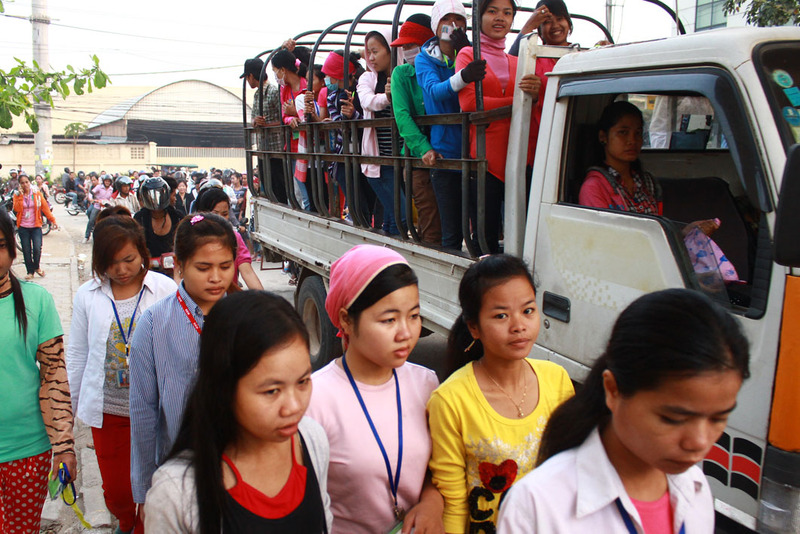 But since the Asia Floor Wage Alliance (a network of Asian trade unions and workers rights activists campaigning for a living wage in the garment sector) launched a definition of a living wage in 2009, things have started to turn around in the debate, and we are starting to see results. The Asia Floor Wage (AFW) benchmark puts a purchasing power figure on what a living wage should really mean, and this has made tangible the living wage concept for Asia, similar perhaps to what the launch of the London living wage did in the UK debate. One in five of the 40 companies surveyed in this latest report – Aurora Fashions, Bestseller, G-Star, Monsoon, New Look, Puma, Switcher and Tchibo – have now started to monitor their pay in factories using wage ladders which include the AFW benchmark. This means wage progress is now measured against a number of figures, with the eventual goal of a defined living wage, enough to support a family. Putting a value on this commitment has allowed companies to qualify their goal and this is now starting to be worked out in buying practice. Although a small win, this gives me hope for the Asian wage struggle. The use of benchmarks by companies has the potential to disrupt the race to the bottom and establish a wage floor. Their use also empowers wage negotiations at a factory level and has huge potential to boost organising efforts. If workers know that key buyers sourcing from a factory have made a commitment to pay enough to cover a certain living wage figure, this should assist trade unions in making wage demands that represent the real needs of workers, and open up a previously non-existent space in wage negotiations. There is still a long way to go, but maybe this is the start of something. By Anna McMullen, first published in Touch Stone Blog, 2014.